Whichever project management bible you may read, the WBS (work breakdown structure) is introduced as an essential element of the scope management practice. WORK BREAKDOWN STRUCTURE. I know both project managers extremely familiar with developing this tool in details and other professionals who never implemented or managed it, in all their career. Is this second group made of individuals not good at what they do? or, presumably, did they work on projects that did not require to draw up a WBS? We'll try to give an answer to that in a moment. But rather than adding the nth post to the myriad of documents focusing on the description of a WBS, we'll focus on the criteria to establish when it is actually worth spending time and resources for such tool. Once you have collected the requirements of your new project, you have defined the scope with the stakeholders and drafted the project charter, you are ready to start with WBS preparation. 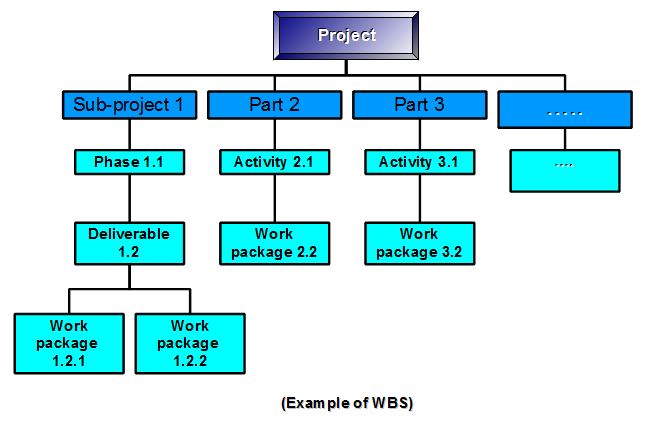 Before being in position to create the communication and the project plans, your baseline and the project schedule with the preferred tool, the project management modern practices (ie.PMI Practice Standard for Work Breakdown Structure (C), 2nd edition) strongly encourages to create an accurate "WBS". In simple words, it is a way to decompose the project deliverables defined by the project statement into discrete and smaller elements, by keeping to sub-divide each new component until a measurable and assignable work package is identified. 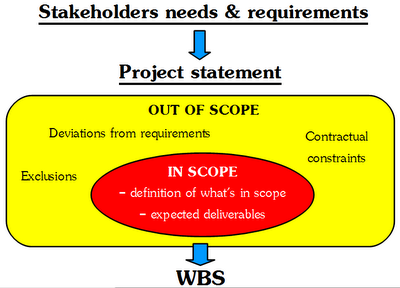 Once completed, a WBS reflects the totality of the project deliverables. 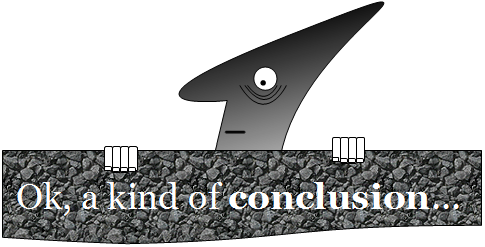 The 100% of the work is decomposed unless the process was wrongly applied. There is not an hard rule that dictates where to stop the subdivision into lower levels. The split can be considered satisfactory when it identifies the smallest packages that can be actually measured in terms of cost/time and assigned to specific owners. Some people use arbitrary criteria like 5/50 or 8/80 to validate a component as a work package (in example "5/50" literally means "not less than 5 manhours and no more than 50 hours to complete it"). There must be no duplicates. Activities and work packages are to be unique and not in overlap each other. 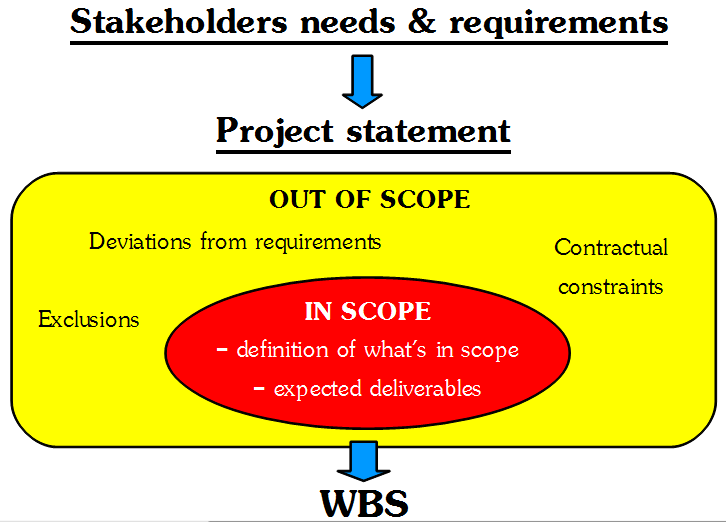 A WBS is intended to decompose the project outcome (the deliverables) into smaller and smaller portions. Not the actions or the methods to achieve those deliverables. This is a fundamental distinction: in drafting a WBS, we do not need to create a plan... an organization chart... or a chronological sequence of events. With a WBS we just need to visually represent the project scope in aggregates of building blocks hierarchically linked and stop the process there. A WBS is usually complemented with a dictionary to let people understand the acronyms and the alphanumeric codes identifying the blocks without ambiguity (particularly for those individuals who did not participate to the process of WBS creation). A WBS creation process can start through a braindsotrming and post-it session with stakeholders. This step really depends on the organization and it cannot be standardized. A responsibility matrix associates each code with the resource responsible for it. Those who have managed mastodontic projects know how critical the start up phase is: the planning lays down the basis for the future execution. Undoubtedly, a good planning is instrumental to set up a smooth execution for projects of any nature, but this is particularly true for a large and complex project. That's where you can get the best from a WBS implemented upfront. On top of all the other issues that are typically experienced while managing a big supply, there is nothing worse than discovering too late that portions of the work were missed and not either planned/assigned to any owner. If this risk to incur into such kind of issue may not be realistic for small, a little or none customized projects, that's right behind the corner for multi million contracts having thousands of deliverables to achieve. It can be startling to participate to the planning sessions of a ponderous project and see how burdensome the identification of each work package is! Really time consuming. Number 1, by having a visual representation of a large project in building blocks, the organization, specifically the project team, can understand even before starting the execution, whether each portion of work has the adequate resources to deliver. 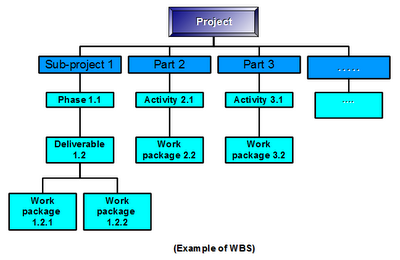 Advantage #1: implementation of WBS helps to correctly plan all the deliverables for complex projects. - the project manager can assess the magnitude and the progress of the whole work as well as the status of each individual work package anytime. - A detailed and comprehensive baseline can be created, the cost trend can be checked at the lowest level, having a clear understanding of predecessors and successors. - Earned Value techniques can be applied as well, bringing considerable advantages to the budget reviews. Advantage #2: WBS implementation helps to lay the basis for an accurate project budget control. Number 3. Change management. Variances to the project during execution are unavoidable and need to be managed. Project managers need to live with that. - it allows the project team to identify which deliverable will be affected by a change and estimate the effects on the overall plan. - If a quotation has to be provided in support of an extra budget request, a WBS in place allows to easily create a breakdown on that basis. Whoever needs to approve the request, will have an overall view of the consequences in goind ahead or not with the approval. Advantage #3: WBS implementation allows to cope more easily with changes to the original plan. The development of a WBS is not mandatory for every business running a project. It requires a considerable amount of energies to be drawn up. An exercise which can be justified or not depending on the size and the complexity of the project. If created and used, it brings indisputable benefits for the team both in the scenario of a regular execution and in case of changes required by the stakeholders during the execution.